This is the “I’m not ruining my hair on vacation! I MUST HAVE THESE with me at all times!! !,” don’t take chances pack! A natural shampoo that is sulfate & salt free. Removes silicone and conventional product buildups. Made from a base of plant and vegetable juices. A base of plant and vegetable juice, infused with anti-oxidants and vitamins creates a brilliant shine, adds strength, retains moisture, and extends each hair’s color. Aloe Barbadensis Leaf Extract, Disodium Laureth Sulfosuccinate (Vegetable based) , Sodium Cocoyl Isethionate (Coconut based), Cocamidopropyl Betaine (Coconut based), Hypnea Musciformis (Hawaiian Seaweed) Extract, Gelidiela Acerosa (Gulfweed Seaweed) Extract, Sargassum Filipendula (Red Mapleweed) Extract, Sorbitol, PEG-18 Glyceryl Oleate/Cocoate (Coconut based), Glycol Stearate (Vegetable based) , Honey, Proprietary Polycarbon Complex, Silk Amino Acids, Hydrolyzed Gluten-Free Protein, Saccharum Officinarum (Sugarcane) Extract, Citrus Medica Limonum (Lemon) Fruit Extract, Pyrus Malus (Apple) Fruit Extract, Camellia Sinensis (Green Tea) Leaf Extract, Urtica Dioica (Nettle) Extract, Salvia Officinalis (Sage) Extract, Rosmarinus Officinalis (Rosemary) Leaf Extract, Symphytum Officinale (Comfrey) Rhizome/Root Extract, Ricinus Communis (Castor) Seed Extract, Tocopheryl Acetate (Vitamin E), Pyridoxine HCL-5-Phosphate (Vitamin B6), Panthenol, Caprylyl Glycol, Ethoxydiglycol, Sorbic Acid (Rowanberry distillate), Polyquaternium-10 (Cellulose/thickener) , Phenoxyethanol, Tetrasodium EDTA(Mineral chelator), Citric Acid (Lemon), Phthalate-free fragrance. Aloe Barbadensis Leaf Extract, Hypnea Musciformis (Hawaiian Seaweed) Extract, Gelidiela Acerosa (Gulfweed Seaweed) Extract, Sargassum Filipendula (Red Mapleweed) Extract, Sorbitol, Stearalkonium Chloride, Behentrimonium Metosulphate, Cetrimonium Chloride, Glycerin, Honey, Cetyl Alcohol, Silk Amino Acids, Hydrolyzed Soy Protein, Hydrolyzed Gluten-free Protein, Proprietary Ingredient (coconut based), Acetyl Tyrosine (Amino Acid), Hydrolyzed Vegetable Protein, Riboflavin (Vitamin B2), Simmondsia Chinensis (Jojoba) Seed Oil, Olea Europaea (Olive) Oil, Lanolin Oil, L-Cysteine (Amino Acid), Ricinus Communis (Castor) Seed Extract, Tocopheryl Acetate (Vitamin E), Pyridoxine HCL-5-Phosphate (Vitamin B6), Cyanocobalamin (Vitamin B12), Panthenol, Oleyl Alcohol, Stearyl Alcohol, Stearic Acid, Sorbic Acid, Tetrasodium EDTA, Citric Acid, Phthalate-free fragrance. RoMANce Deep Conditioning Treatment is a good product. I really enjoyed the smell of the product. I would recommend this product to friends and would also buy the product! Cleansing: 5 stars. This stuff (Illustrious) is amazing. Subtle scent, loved (Illustrious)!!! Hair was made soft and full!!! Love it (Illustrious), smells great and makes your hair look and feel great – thanks! This (Romance) really worked as I have split ends and usually have to use lots of conditioner to get my hair smooth and silky but when using it I didn’t have to use as much. I’d recommend this product to everyone I know. Buy this product! This deep conditioner (Romance) made my hair smooth without appearing shiny. It was thick and had a nice scent. I love that there were fewer chemicals than many salon options. I would totally recommend this shampoo (Illustrious)!! It smells fantastic and makes your hair feel healthier in just the first few uses!! It (Illustrious) is very easy to use and I really like that the scent was not overpowering. I felt that my hair was clean after I used this and it was easy to rinse off. I enjoyed using RoMANce deep conditioning. It actually made my hair soft. My overall review of this product (Illustrious) was very good. The scent was pleasant. It did a nice job on cleansing my hair. I LOVE THIS SHAMPOO! I can’t say enough about it. My hair looks and feels incredible after using it! It makes my damaged hair feel smooth and full of life, and because it’s sulfate, paraben, and silicone free it doesn’t strip my color! I love that it’s a natural product that works. I’ve been disappointed in the past by shampoos that claim to be natural and aren’t or are natural but don’t work well at all. I’m definitely a fan! Left my hair feeling silky and left a beautifully clean scent. I unfortunately smoke cigarettes and they always leave such a nasty smell in my hair. But this conditioning treatment (Romance) seemed to mask my bad habit. I didn’t have high expectations of this conditioner (Romance), but I ended up loving it! It smells great and left my hair super soft. I would definitely purchase this conditioner! Really liked this (Romance)! First, loved the name! 🙂 Second great scent! Illustrious Shampoo and Cleanser really is a great product! I have very fine, thin hair and I have a hard time keeping my hair from becoming greasy due to the thinness of it on the top of my scalp. This cleanser did wonders at keeping the oil at bay so that I didn’t look like I needed to wash it after only a few hours. I would definitely recommend it! I have tried numerous shampoos and none have come close to the way Illustrious cleans my hair. I have very long thick hair and with in one use I noticed my hair not only smelled really good but looked amazing. It was less frizzy and easier to manage and just all around felt better. I would buy and recommend this shampoo to anyone with long thick hair if they have issues with frizziness and other small issues. This shampoo (Illustrious) is great. It left my hair feeling so clean! I guess you don’t realize how much stuff builds up on your hair until it’s not there anymore. Left my hair feeling super soft and smells great! Thanks! I really liked the conditioner (Romance), it smells amazing! I would buy it and use it regularly – thanks! This shampoo (Illustrious) does a great job removing any shampoo/conditioner residue from your hair. I enjoyed using it. I would like it better if it came in a different scent. Not bad, but not my favorite scent. I loved the scent of the conditioner (Romance), it made my hair SUPER soft! Best conditioner(Romance), love it. Will buy more soon. This is a great product (Romance). It scents smells very nice and leaves your hair nicely conditioned. I loved the scent of this shampoo (Illustrious). It went on really smooth but didn’t create much lather. It was easy to rinse off and my hair was easy to style afterward. It has a great light scent and made my hair look radiant! I found the Illustrious Shampoo and Cleanser to be very nice on my hair, without drying it out. Of course it is not super sudsy, but that’s because it has a bunch of good stuff in there! I really like the fact that it removes buildup from other crappy products. I would say try it! Illustrious shampoo was a great product. It smelled great and has a great thick texture which I love. Left my hair clean and fresh smelling. I really enjoyed using Illustrious Shampoo and Cleanser. It smelled really great and left my hair feeling lightweight and manageable. That’s sometimes a difficult task when my hair reaches down to my hips. I would definitely recommend this to anyone willing to try it. Amazing, love it! Highly recommend it. Great product (Romance) – everyone should try it. I enjoy it very much! I was glad to receive Illustrious Shampoo and Cleanser. It smells wonderful but the scent is not overpowering at all. It’s gentle yet extremely effective. I really enjoyed the product, and knowing that it is a more natural product with fruit and vegetable extracts is an added bonus! This really left my hair nice and soft. It conditions (Romance) very well. I definitely recommend it! I love this shampoo! It really cleansed my hair…The scent is great too! I would recommend this product to everyone who wants great, clean hair! Illustrious Shampoo and Cleanser works very well. It lathers very well and left my hair and my scalp feeling clean and refreshed. The scent is light and fresh and I absolutely love it! This stuff (Romance) is awesome. Smells great and makes your hair look awesome. Love it! I honestly didn’t try this (Romance) on myself. I tried it on my husband! It made his hair very soft and touchable. It also smells very good. Very nice product. Smells really good and product (Illustrious) works just as advertised. This I used before the conditioner (of course) and it has the same great smell, and same great efficacy. I love these products. This shampoo totally cleanses my hair, getting all the bad stuff out, and when I’m done, my hair looks shiny and amazing (also owing to the conditioner). But these products are wonderful and I highly recommend. I was so glad I got to try this product! I didn’t have to use as much unlike the other shampoos. This product (Illustrious) really worked, the smell was amazing. I’d recommend it and I’d buy it. After using it my hair wasn’t frizzy at all. I received the IlLustrious shampoo and cleanser. The shampoo had a nice scent and lathered well. I will purchase again in the future. Loved this product (Romance)!! I felt that it conditioned my hair really well. I would recommend this product to everyone! This stuff (Romance) is awesome..great smelling..feels refreshing on the scalp! I would definitely recommend this product! Illustrious Shampoo and Cleanser did a great job, leaving my hair feeling fresh and lightweight. The scent lingered, which was fine because it is subtle and clean. Very nice product! Loved the product (Romance). It has a great scent and left my hair feeling soft. This conditioner smelled good and conditioned my dry hair good. I would definitely recommend to someone who has dry hair. I liked the smell and it seemed to clean my hair very well. The shampoo (Illustrious) didn’t seem to get as “soapy” as other shampoos I have used. I would recommend it and buy this. Illustrious Shampoo and Cleanser provides the clean you crave without weighing your hair down. The scent is amazing and my hair feels much healthier than before. The natural products used in Illustrious make this product even better. No harsh chemicals just naturally and beautifully clean! I would definitely recommend this product! This shampoo left my hair with a good clean scent. It also left my hair with a smooth clean feel. I felt it cleaned my hair well and it did lather well. I did also like that it is made from fruit and vegetable extracts. That is an important factor to me. I wish the price was a bit more less expensive however it may be worth a bit more that it is more natural. I did overall like this shampoo and yes I would purchase it for myself and absolutely I would recommend it to family and friends! It is easy to over condition my hair and so I don’t normally leave a conditioner (Romance) on for very long. 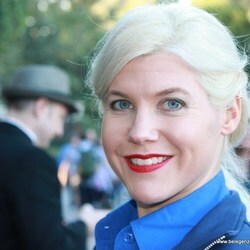 But this one worked amazingly well for me with no greasiness at the end of the day. I would definitely recommend this product (Romance) to others. I loved the way my hair was left with such moisture. Hair has never felt so smooth and soft. I loved this shampoo when I used it. This is the only shampoo I have every used that really made my hair look and feel great. It made it smooth and my hair actually felt really clean for a change. Love this product. This (IlLustrious) is GREAT!!! I love the smell and how clean it makes your hair. This I highly recommend. I will be purchasing! It was a big surprise to use a shampoo that doesn’t lather up into a giant foam, but still cleans as tho it had. Pleasant fragrance and nice clean end result, combined with a nice conditioner. This product is a nice find. I really liked this shampoo, and love the fact that it is a better option for your hair that doesn’t have parabens & all the extra chemicals. I felt like it did a good job of cleaning my hair. I really enjoyed this shampoo. The first thing I noticed was the smell, it’s very sweet and not too strong, which is nice. It feels very silky, and made my hair feel soft. I would consider purchasing more after I run out. I struggle finding a shampoo that cleans my hair and doesn’t make my scalp over produce oils in the coming days. I was pleasantly surprised by this shampoo. It cleaned my hair of products and kept it clean for over a day. My hair felt so healthy and smelled great! Really great product (Romance)…left my hair feeling really soft! Conditioned (Romance) my hair beautifully and left a very pleasant scent. I absolutely loved the shampoo. It left my hair feeling clean and not weighed down. After 3 days my hair still feels, looks and smells like I just washed it!! Can’t wait to get my hands on another bottle!! Thank you! Loved it (Illustrious)! The scent is lovely and it made my hair super smooth. It is a low sudsing formula (Illustrious) that worked well on my thin hair. Perfect conditioning (Romance), my hair feels so much softer now that I have started using it. I am planning on buying more because even my kids love it! I’m usually pretty skeptical about trying new hair products, but I’m sure glad I tried this one (Illustrious)! I have pretty dry hair and try not to wash my hair more than every other day. That being said, it’s important to me that when I do wash my hair, it feels clean and fresh. This product really took care of that. It left no residue and no strong chemical smell. Definitely a keeper! It was great! Absolutely loved it (Illustrious), would recommend to friends. This shampoo has a wonderful smell, it is not overpowering. My hair felt so good after using it and it did leave a beautiful shine to my hair. It also felt much more manageable after using this shampoo and cleanser. I really liked using this product and I would definitely recommend this product because it truly does what it says. This shampoo rocks! I have thick wavy sometimes-nappy coarse hair that usually gets shampooed once or twice a week. This product is not too runny, lathers nicely and rinses clearly. My hair felt amazingly soft and smooth after it dried. Amazing product (Illustrious) – left my hair feeling clean and smelled amazing! I really like the shampoo (Illustrious). It took the greasy residue out of my hair. My hair looks fuller and has volume! After trying Illustrious Shampoo and Cleanser for three days, usually after the second try I determine I don’t like a shampoo or conditioner, however this product is awesome! I can honestly say, this is a product I want to use all the time. As a fervent Wen product user, I will not generally use a product that foams, as I feel this leaves my want-to-be curly long hair too dry. Although this was NOT the outcome I thought I would receive. This product made my hair manageable, beautiful, and I just love the way my hair feels now. I love washing my hair now! Thank you! Outstanding product (Illustrious)-leaves hair silky, shiny & in great condition. Shampoo smells fantastic & would be great for damaged hair! Outstanding product (Romance)-leaves hair silky, shiny & in great condition. Conditioner smells fantastic & would be great for damaged hair! I really enjoyed this product (Illustrious). My hair felt smooth and silky after the use. The Illustrious Shampoo and Cleanser is a wonderful shampoo! It cleaned my hair well, but did not dry it out! I love it!!! The scent is also really nice! Love this shampoo! My hair felt so clean and light and behaved really well! Recently I had my hair done by a friend of mine as a favor since she just opened her shop. Needless to say it was a mistake, she fried my hair and it was so dry. The Illustrious Shampoo worked wonders on my hair. It felt as if I had gotten my old hair back. I received this in the mail earlier this week. When I used it (Illustrious) I was very surprised on how clean and light my hair felt afterwards. I would definitely use this product again! This (Illustrious) smells great and left hair feeling fresh and free of all the extra buildup you get from hairsprays and styling products. Hair had more life to it and wasn’t limp. I recommend this to others as it works and smells very well! This is a great product (Romance). I love the smell and loved how smooth it made my hair. I recommend this product and will purchase. Love it! This shampoo (Illustrious) was great. It took so much built up gunk out of my hair. My hair feels lighter without the buildup from styling products. I love the way that it made my hair look so shiny and healthier. It had a wonderful smell. I love that it was gentle and has extracts from fruit and vegetables. I think that anyone who tries these products would love them just like I do and this is all that I ever want to use. I loved this shampoo (Illustrious) when I used it. Most shampoos don’t really work. I can’t really tell the difference between other brands. I loved the results. There are no harsh chemicals. So my hair doesn’t dry out and feel brittle. Also good for any hair type. I used this conditioner (Romance) a few times before doing my review. I enjoyed the conditioner! I have pretty thick, wavy, colored hair and use a deep conditioner often. This smelled amazing! I really liked how it left my hair feeling. My hair felt soft and was shiny. I would purchase this product. Left my hair feeling deep cleaned, yet not stripped of any luster of course. It (Illustrious) smelled nice and really made my hair feel clean and fresh, and it looked healthier and felt really soft. My brunette shades looked richer and deeper. I really was surprised at how nice my hair looked even without styling after only one wash. This is a really great product! I love this product (Illustrious). It cleans very well and my hair smells and feels wonderful afterwards! I love this product (Illustrious); it smells lovely, left my hair manageable and flawless. I recommend it! Would definitely purchase it. This stuff(Illustrious) is amazing! Leaves my hair feeling and smelling so clean and fresh. Amazing! Makes my hair feel fresh. I would definitely purchase this shampoo! Loved this product (Romance). It left my hair so soft and it smelled so good! I would recommend it to anyone and I’m going to be purchasing more soon! The scent (Illustrious) is lovely. My hair feels clean and healthy! Really enjoyed Illustrious. My hair felt so much healthier after one use. The scent is great and not overbearing. I really enjoyed the smell of the cleanser (Illustrious). I also liked how clean it left my hair. I would definitely recommend this to friends! This shampoo did wonders for my hair and it smells great! Highly recommended! Upon getting my Illustrious Shampoo and Cleanser, I was already excited because the label stated “silicone free.” Then after reading the labeling and not seeing sulfate in the ingredients, which always dries out my hair and since my hair is naturally curly, thick and frizzy anything drying out my hair more really bums me out. Normally I need to mix a little baking soda into my shampoo to get a truly cleansed feeling. I was able to use this alone and still get that same real clean feel and the smell was subtle but just right. Definitely highly recommended! So was great. Love how soft it (romance) made my hair feel. The scent was great. Love this conditioning treatment! I LOVE the smell of this shampoo!!! I’ve been looking for a good clarifying shampoo for awhile (without stripping my color), and this seems to do a good job. I prefer to use natural, sulfate free shampoos on my hair. I feel like my hair looks 10X better after using them (even though they don’t always lather extremely well, which tends to make you feel like you’re not getting your hair clean). However, no lather does NOT equal no clean! I enjoyed the scent and the consistency of IlLustrious Shampoo & Cleanser. I’ve only used it once so far since I just received it this week but I intend to continue using it. Thanks! Just like the conditioning treatment…I love this shampoo. It smells great and cleans even better. I am going to buy more and would definitely recommend it to a friend. Loved it!! This shampoo smells great and makes my hair feel smooth and clean. Thanks! Loved the way my hair felt after using the shampoo and cleanser. Hair felt clean, soft, hydrated. Would recommend!!! 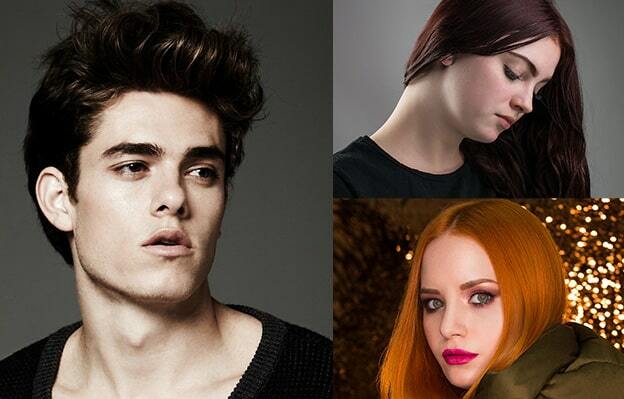 It (Illustrious) seemed to cleanse my hair well – I color my hair often. I would recommend to a friend! I loved the shampoo. It has a nice scent and fragrance and it made my hair so soft and manageable. I love, love, love this (Romance). I am going to buy a full sized bottle. It smells wonderful and left my thin, limp hair full of life and super soft all at the same time. I would definitely recommend this to a friend! This is a great product (Romance)! Left my hair feeling very soft! I will be buying! I tried this (Illustrious) yesterday. The scent was fabulous!! And I felt that it gave my hair a nice cleaning, cleaner than normal. I was very pleased with the results! Really loved the scent and performance of this product (Illustrious). It works well and I will purchase in the future!! Loved this shampoo, smells VERY good, made my hair feel very clean and I will be buying this in the future, thank you. I loved it! This product (Illustrious) smells great and left my hair so soft. I have to admit I didn’t think it would be any better than any other shampoo I have ever bought but I turned out to be wrong. Not only was it a pleasant scent but also it happens to even get rid of my dandruff. Which was an unexpected pleasant surprise. It even made my hair feel like it was deeply cleansed. It will be a product I will continue to purchase. I really like this conditioner (Romance). It worked great. My hair was healthy looking and felt really soft. The scent is wonderful. Highly recommend trying this product! It felt like brand new hair after I washed it! Made my hair smell really good and it (Illustrious) was gentle enough to use everyday! It doesn’t get any better than this (Romance)! I have very fine hair and this works awesome! It is like I grew a new head of hair! Highly recommended for everyone! This product (Romance) makes my hair feel super soft and a great scent. The scent it not too strong or perfume like. Has tons of natural ingredients which is a huge bonus! I like this conditioner (Romance), very moisturizing and smells really good. It left my hair feeling so soft and moisturized. Great product (Illustrious), cleans well and the scent is very nice! I really liked this shampoo (Illustrious). It smelled great, cleaned great and my hair was soft. I thought it worked great and the great scent was a huge plus. Highly recommend trying! Hands down my favorite (Romance). The smell was amazing and it made my hair shiny and smooth. It was my first time using this product (Romance). I was not sure what to expect from it. I have to say that it exceeded my expectations. The product left my naturally curly, African American hair so soft. The scent is wonderful. I have nothing negative to say about this product. It is a great investment. Works great and smells amazing. I will be purchasing this product (Illustrious) in the near future! This was a GREAT product (Illustrious)! Especially for my color treated hair! I will for sure be buying this product in the future!!! This stuff is pretty good! I don’t wash my hair everyday and my hair is fine and on the oily end so I need something that isn’t too heavy and will keep it lasting without a wash for 2-3 days. I love that this shampoo (Illustrious) is all natural and I think that helps for me too. The scent, for being an all natural shampoo, is pretty good. Highly recommend it (Illustrious)! It Leaves an awesome clean feeling and smells awesome. I would definitely buy this! I tried this product (Romance) and made my hair feel so soft and manageable. Did not have to use a detangler, a comb went straight through my hair. My hair was no longer frizzy either. I would purchase this product for sure. I loved the way this shampoo and cleanser made my hair feel:) It made my hair light and flowing and it smells wonderful! I love the fact that this product (Illustrious) removes silicones and other residues that my previous hair products leave behind. It left my hair clean and fresh without stripping it harshly or causing dryness. The scent is wonderful and stayed with my till the next shampoo. Safe for my hair color is another plus. I pay to much to have it done for a shampoo to strip it away quickly! LOVE THIS PRODUCT!! Conditioners are the finishing touch and I loved the scent of this one (Romance). I did a deep condition when I used it by putting a cap over my hair for about 20 minutes. After rinsing the conditioner out I was in heaven. Thank you. This shampoo is great. I am very picky about shampoos. Most either dry out my hair or weight it down so much it’s limp and lifeless. Not this one. It cleans without stripping all the natural oils and doesn’t weigh it down. It smells nice and clean and the fragrance isn’t overpowering. I usually have problems with some shampoos my scalp can be sensitive and my scalp will get itchy which doesn’t happen with this product! Its very good. Two thumbs up! I tend to use conditioner only on my ends because my hair is baby-fine and gets weighed down easily. This conditioner (Romance) works great for that–leaves my hair soft and clean with no residue. Combined with the shampoo, I’m able to go 2-3 days between shampoos, which is awesome for my color-treated hair. The scent smells sweet (Romance). It leaves silky into my hair plus is no animals testing it is an A +. Thank you for giving me the opportunity! I loved this (Illustrious), it had a coconut smell to it that was refreshing, and it lathered up good in my hair, and felt good. What I liked about it is that when I washed it out my hair it looked clean, and smelled good. I would recommend this too anyone, and I’m thinking of making this my new Shampoo. This is ONLY the BEST shampoo I’ve EVER used. Seriously. I have VERY long hair – well past the small of my back – and I like the natural, wavy, beachy look. This product is like diving into a SPA in every way and I can feel the difference even TWO days later. The scent is amazing. The texture is amazing. It’s made my hair the SOFTEST and healthiest it’s been in 27 YEARS. Buy this. Now. My first impression was that this smells great! Somewhat fruity but with a fresh clean finish without being overpowering. It feels really thick coming out and doesn’t lather much so you really have to distribute the application and scrub well. I’m used to that with the sulfate-free products and cleansing conditioners I’ve used before though so it didn’t bother me. What I really love is that is has a lot of great natural ingredients without the harmful ones, so I feel like it’s not harming my over processed hair. Seriously, the first ingredient is aloe; which is awesome and soothing for your scalp too! Overall my hair felt clean and soft, not weighed down, but not dried out. I would use this again. I loved this shampoo. Makes your hair soft and smells good. This isn’t the usual shampoo that I’d normally use. I’m more into clear shampoos because of my OCD, and I feel like creamy shampoos don’t clean as well. However, this shampoo really did clean my hair. It didn’t lather up much, but it may have been because my hair is so long. But when I rinsed, my hair felt super clean. So it passed the squeak test. Overall, I really do like it. This shampoo and cleanser smells quite wonderful. It is what I would call a “natural” product. Many products try to be healthy and this one has many beneficial ingredients. It worked beautifully and it was a delightful product! I love the scent and the lather. It (Illustrious) makes my hair feel smooth and shiny. I just got this (Romance) today. It was a very pleasant surprise! I opened the top and I was mesmerized! I just loved the smell. I love the fact that it’s natural and did not require much to do my hair. And after my shower, I loved the results. Even after hair was dry. It left hair very soft and manageable. I would definitely recommend this! I loved this (Illustrious)! My hair felt so soft and manageable after using this! A MUST BUY! Same as the shampoo – I love it (Romance)! My hair is really damaged and I did see such a difference. I would recommend it to my friends. This product (Romance) is great!!! I would highly recommend it to my family and friends. I would definitely purchase it for myself. This product makes my hair silky soft and very shiny. I have a bounce in my hair that wasn’t there before I used this. I color my gray hair so my hair gets dry and breaks if I don’t use conditioner. I have used PANTENE for about 20 years but it tends to make my hair break if I don’t use additional leave-in conditioners. I would replace my pantene regiment for this product especially if all I needed was one type of shampoo and one type of conditioner (either rinse out or leave-in). This by itself would save me money because I wouldn’t need to purchase three products; I would only need two. I am ready and willing to make a switch in my hair care needs. Thank you – you have a new customer. My hair got very dry from this past winter. It made my hair so soft and it smells great! I love this (RoMANce)! I love this shampoo. I could tell it was working while I was using it. I would definitely buy this product! I like this shampoo. It helps my hair. I would recommend it to my friends. Hair felt cleaner, softer and more manageable. Great scent, good quality shampoo, did not feel dry or brittle. Would recommend! This shampoo left my hair clean without drying it out, smooth and full of volume and bounce. Leaves hair feeling smooth and frizz free. Love it! Makes my hair nice and smooth and light! I would suggest this product (Romance) to friends and family. I loved this! (Romance) I only needed a small amount to make my hair super soft!!! I loved this stuff! Nice fragrance, pleasant and not overpowering. Left my hair smelling good and feeling soft and clean. Not stripped, just fresh and clean (Illustrious). I loved the shampoo. Definitely did its job when it came to my hard to maintain hair. I would definitely buy this. The shampoo and cleanser that I received worked really well in my hair. I had a shine again that I haven’t been able to find with many other shampoos. The scent was great and not overpowering and it made my hair smell great and feel amazing. I would recommend this product to others and buy it myself in the future. I really enjoyed this shampoo. First of all, I like a shampoo that does more than just clean, and it did just that. My hair lathered well, and felt soft after use. I also enjoyed that the scent was pleasant and my hair didn’t feel brittle or damaged afterwards as it sometimes does. I look forward to using it again. Absolutely one of the best hair products (Illustrious) I have used. My hair feels like brand new hair even after just 1 use. I will be purchasing this from now on! I was very impressed with the illustrious shampoo and cleanser. My hair felt clean and light, not weighed down. The scent was light, but just right. This is my first time trying this brand and I was very impressed with the result. I tried different brands in the past that I’m not longer keep tracking of all the products that I try but the Illustrious Shampoo and cleanser will be in my top 5 favorites products from now on…My hair is dry, rebel, hard to style and always get frizzy but with the Illustrious Shampoo feel really soft, healthy and shine, when you open the bottle you don’t smell anything but when is in your hair have a soft gently fruit aroma. I like it. I loved the smell of this product (Illustrious), also the way my hair felt afterwards. It made my hair so soft and silky to the touch. I love this product. I felt like this shampoo actually got my hair clean vs. other shampoos that just kind of coat the hair. I’d use it as more of a clarifying shampoo once a week or so. It also smells yummy! I really liked the scent, it wasn’t overpowering. And it (Illustrious) made my hair feel clean without weighing it down with product. I would definitely recommend this to others who want a product with natural ingredients. I love how this shampoo made my hair look shiny and feel soft. Great product! The Illustrious Shampoo and Cleanser had a clean smell and was easy to use on the hair. The shampoo and cleanser made my hair a bit shinier and healthier after one usage. I would recommend this product since it is a natural shampoo with fewer chemicals inside and I would definitely purchase this shampoo and cleanser in the future. This product (Romance) left my hair smelling so good! So soft! The smell was amazing; usually products that are natural have a bad smell but not this one. I could tell the difference in my hair once I had finished washing and conditioning it. It felt clean and soft to the touch. My husband thought I had been to the salon to get my hair done. I would recommend this shampoo (Illustrious) to my friend. I loved how soft and silky this cleanser made my hair. My hair is usually quite dry and damaged, but after just one use it noticeably improved the overall health of my hair. The IlLustrious Shampoo worked really well and left my hair feeling cleaner than it has in a while. I love that it is a sulfate and salt free shampoo. This does not lather as much as regular shampoo but most sulfate-free shampoo does not. My hair looked silky, shiny and very full and the color looked more radiant. This Shampoo smells wonderful!!!! It made my hair more manageable and shiny! This really was a delightful product (Illustrious). I loved everything about it. I would most definitely recommend this product to my friends and family! I had a chance to try this product (Illustrious) and absolutely loved it!!! It left my hair feeling very clean and soft!! I would definitely recommend this to my friends and family and I would definitely purchase this product!!! Thank you! I never thought that I would be able to find a shampoo that would clean my hair as well as this one! This shampoo has a very soft scent. It made my hair feel soft and silky. I have naturally curly red hair. I love the fact that it does not have lots of other “junk” that many other hair products have. I would purchase this shampoo. My hair after using Romance, made my hair feel and smell amazing. Small amount and worked great. I would recommend anyone to get it. What I liked most about is how great my hair smelled after using it. Yes I buy this. I took this shampoo on vacation with me, thinking it would be one of those travel shampoos that you use and then throw out after your trip. I was so surprised with this product! The first time that I used the product, it left my hair feeling soft, and it was very easy to style afterwards. I have to mention that for my vacation I was in a very hot and humid area, so this was a definite plus for me! The smell is divine, and the product is very light and clean feeling. It was a great product! I like this shampoo because it had a nice scent and left my hair feeling thoroughly clean. Once I conditioned my hair and blow-dried it, it left my hair looking and feeling soft. I would recommend this to anyone who’s looking to try something. new. Nice stuff! (Illustrious) Smells great. I had forgotten I ordered it so when it came it was a pleasant surprise. Looks VERY expensive, so it was a special treat I saved for myself! Thank you! Can’t wait to try something else. I loved it. It was awesome (Illustrious) and I would buy it again. It made my hair look more shinier! I really like this conditioner (Romance)!! It made my hair so soft and manageable!! I like thick conditioners and have coarse hair so this worked really well for me!! Belegenza hair products are more than awesome! I have thin, fine hair that has a mind of its own. 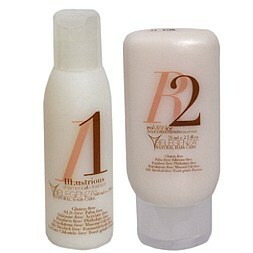 Belegenza’s Illustrious shampoo and Dramatic conditioner leaves it soft, shiny, and ‘tame-able’. Tutta bene! This is one of the best shampoos (Illustrious) that I have tried. It made my hair feel great! I have very long, very thin brown hair. Usually shampoo doesn’t really do much other than clean my hair. But the Illustrious shampoo made my hair very soft and shiny. The color of my hair seemed much more bold instead of its usual dullness. I love how it is made with more natural active ingredients than most shampoos, which is most likely what contributed to the unusual difference it made! I reccived this yesterday (Romance Deep Conditioning Treatment) and used it this AM in the shower, it had a great light scent, not overpowering, almost like a baby powder scent. I like how soft it left my hair with no greasy residue afterwards. I also noticed that it did not bother my sensitive scalp. I would rate this product all 5 stars. I loved it so much!! This is ONLY the BEST treatment (RoMANce) I’ve EVER used. Seriously. I have VERY long hair – well past the small of my back – and I like the natural, wavy, beachy look. This product is like diving into a SPA in every way and I can feel the difference even TWO days later. The scent is amazing. The texture is amazing. It’s made my hair the SOFTEST and healthiest it’s been in 27 YEARS. Buy this. Now. The shampoo was wonderful it had a great smell and it did not suds up too much. It made my hair feel silky and most of all I enjoyed that smell. I felt like it cleaned my hair instead of just building up extra build up on my hair, it also did not weigh my hair down. It was not watery either like most shampoos. 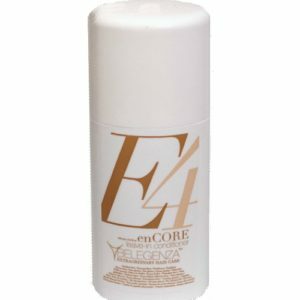 Overall it was a great product for me Love it. What a great shampoo, very luxurious. The smell itself makes you want to use it. Then you squeeze it into your palm and the shampoo literally feels like satin across my hands. I would recommend this to use on special occasions because the way your hair feels when done styling and the scent lingers around you all day! I love this shampoo! It smells really good and leaves my hair feeling really soft! Works good (RoMANce) and smells great and softens your hair. It leaves it looking shiny and healthy. My daughter and I both used this product (Illustrious) and thought it was great. It made my hair feel soft and silky, without feeling weighed down. The smell was very pleasant, not overpowering like other shampoos. Created a nice foam and rinsed out well. I also love how it is not used on animals and there are no harsh chemicals in the shampoo. I love this product (Illustrious). It smells really good and it works. It makes your hair healthier and shinier. I really love the way this smells. The first thing I did when I got this was smelled the shampoo. I think it has a sweet fresh scent. It’s not obnoxious and overpowering. It lasts throughout the day. My hair can get really oily with different shampoos so I was happy to find out that this kind of keeps my oily hair at bay. I like the way my hair feels after using it! I would definitely recommend. I have moderately dry hair and after using illustrious, true to its name, my hair has started getting shinier. I am expecting more after future uses. I loved the smell made my hair soft didn’t tangle it either. I would recommend it to friends & family to try this product. I would definitely buy this shampoo (Illustrious)! I have been using illustrious shampoo and conditioner. I love the way my hair looks and feels after I wash and condition it. My hair is soft and flows freely. I do love my way my hair looks and feels. When I straighten it; it isn’t as frizzy as when I have tried other straighten shampoo and conditioner. Love this product (Illustrious)! I use a lot of products with my natural curly hair and my hair felt so clean after washing it. I would recommend this. Good shampoo, it doesn’t strip my hair it cleans it gently. My hair is able to retain moisture and isn’t dried out after use. It’s a good product! I tried the illustrious shampoo and cleanser and loved it. It smells so good. It lathers and cleans your hair really good. My hair is medium, I have tried lots of shampoos on my hair and I found that I really like this one. I absolutely LOVED the smell of this shampoo. The all-natural ingredients make it an A+ in my book too. After using the shampoo, my hair felt like it was super clean. It didn’t feel like it left any residue and I didn’t have to wash my hair twice like I usually do with the one I usually use. I absolutely loved this. I’m picky when it comes to hair care products so I didn’t know how I would like this one (Illustrious). It was everything and then some. I noticed a big difference after one use. Illustrious Shampoo and Cleanser smelled really nice. It left my hair feeling clean without it being weighed down. How beautifully this conditioner was packaged! I was able to see a shiny frizz-free happiness to my curls! The scent is floral, yet not unpleasantly so. I will buy this product! oh wow loved loved it smells great my hair feels soft shiny and just fabulous thank you. Great product (Illustrious) !! Leaves hair soft and shiny…lathers really well for a deep clean. It makes my hair soft and feels great and i love to use this product (Illustrious) and i will tell other people about it. I really like it and enjoy this shampoo. I was a little skeptical when it says natural ingredients. I thought it wouldn’t clean my hair that much. It cleans my hair very well and it didn’t make it over dried. I would recommend it to all hair types. Love it! It made my hair so soft and manageable. I have very coarse hair and now it’s silky and smooth. I can actually run my fingers through it. This product (Illustrious) is something everyone should use! I really loved the way this shampoo has worked for me. I was really impressed with this shampoo because I have tried other sulfate free shampoos and they leave my hair feeling really unclean and greasy but I used this shampoo and my hair is so soft and manageable now. Loved it very much. I enjoyed this shampoo very much! I liked how clean it made my hair feel. Also it didn’t feel harsh like it was pulling moisture out of my hair. It was a great accompany to the RoMANce conditioner that I had received. This is a wonderful new addition to my beauty routine! Off to wash my hair now!! The Illustrious shampoo and cleanser worked wonders on my fine, thin hair. The body it gave my hair was great, and my hair had volume all day. A wonderful shampoo, to use if you want more body in your hair. You won’t be disappointed if you use this product! I love this shampoo because it is natural and gently cleanses your hair. I love the smell of this product. It has a nice soft scent that I really like. I believe the rosemary extract in this shampoo gives it that great smell. I love this shampoo and cleanser! It smells so good and feels creamy to the touch, which makes you feel more confident putting it in your hair. I have damaged hair with split ends, and I felt like I was getting a home spa treatment on my hair and it cleans your hair, but does not strip your hair of its nutrients which is a good thing. Usually I can wash my hair with something else and you feel like your hair is even more dry and brittle then before and you have to use products to try and repair it from what the shampoo has done, but this product gave me a nice, clean and soft feeling that I definitely plan to use and keep around for quite some time to see how it does for my hair long term. I would highly recommend anyone to buy this product. I loved the scent of the shampoo, it cleanses my hair well and it feels like a salon product as said of high quality and most of all loved the smell that lingered in my hair after using it . I received this product yesterday (Illustrious Shampoo and Cleanser) and used it this morning in the shower, I felt like my hair was super clean after washing it, a small amount of shampoo was needed with great lathering capabilities, smelled light not over powering, this product rinsed out easily and it left a great shine afterwards, this product was great highly recommended, 5 stars!! This shampoo (Illustrious) is simply the best thing ever! After using this the first time, it feels like you grew a new head of hair!!! Love this product! I received my Illustrious Shampoo and Cleanser and the first thing I noticed was the wonderful light scent. Once applied, it left my hair feeling very soft with a nice subtle scent. For me the scent is not overwhelming or to strong. Once dried my hair was manageable and again still retained the scent. I was pleased and am looking forward to using it again. I loved this product (Illustrious) and have never had my hair feel better and cleaner. It felt, as it no longer had the feeling of products still in my hair after washing with my old shampoo. I would recommend this to my friends and family. Thank you! I really love the scent of the shampoo it was pleasant and not over powering. I don’t feel like it took a ton of it to lather all of my hair and it felt great afterward. I would definitely recommend it. I really enjoyed using this product>(Illustrious). It made my head feel clean. I would buy this. I received a bottle of illustrious shampoo and cleanser about a week ago. I loved how it made my hair feel and smell. It lathered up really well and cleaned my scalp better than any other shampoo I have ever tried. I would purchase this product for sure. From first smell this Shampoo and Cleanser is amazing! Not only does it smell great, but it works great too. It was able to remove the build up on my hair from my hairspray and other hair products. Left my hair looking healthy and shiny. It can’t get much better than this. I have naturally curly hair and I have to be careful of what shampoo products I use because they dry my hair out. This one worked great and left my hair feeling squeaky clean. I will definitely purchase this in the future. I liked everything about the Illustrious Shampoo and Cleanser. I have crazy curly hair and I use a lot of products each day, like mousse and hairspray. The Illustrious shampoo made my hair feel clean and soft, and it smelled great. I was very impressed to try something that made my hair feel healthier and smoother. Being mostly natural is a definite plus too. I would recommend this to a friend in the future. I tried the shampoo and cleanser and I really liked it! It made my hair feel clean, soft, and shiny!!! The scent was a little strong for me but I did like it! Smells great (Illustrious) and works great as well. I like the texture of my hair afterwards. I like the way Illustrious Shampoo and Cleaner smelled, it wasn’t overpowering. It made my hair feel very clean and light. I would recommend this shampoo! This product (Illustrious) is awesome! The product smells really fresh. It moisturized my hair and scalp during the cleansing process and even made my hair easy to comb after washing. I highly recommend this product. I really like this shampoo! It is so light and clean, and it does wonders for my hair! I have never heard of this brand before, so I was not really sure what to expect. This shampoo makes my hair feel so smooth, which is a plus for anyone with frizzy hair like myself! The scent of this shampoo is also great, not to overwhelming, just right! The Shampoo felt and smelled amazing. It wasn’t overly heavy, and my hair automatically felt refreshed and hydrated. Will be buying again! Light scent and not to harsh on my hair – love this stuff! I wanted to wait until I had used this product before reviewing it. A lot of times when you first change shampoo and conditioner you get wonderful results and then a week later it is leaving build up on your hair and your hair is unstable. This shampoo has amazed me. I have not been able to use any shampoo other than Clear since having my second child. I have been using this shampoo for a week now and it leaves my hair clean and soft. I love that it is all natural and once the Clear I have runs out I’m thinking of switching! I loved this shampoo and cleanser! I felt like my hair was really clean afterward. I was not too into the scent it was not my favorite. My hair felt very clean after I used it each time though. I would recommend this to anyone! Really great product (Illustrious) left your hair really clean and feels lighter after first use. IlLustrious Shampoo and Cleanser is a new favorite of mine. My hair was soft and shiny after shampooing. It cleanses well. I would like a stronger scent; it is too light. I would purchase this shampoo. The Illustrious Shampoo & Cleanser really did a great job at cleaning my hair by removing any old products that had been in my hair. And leaving a light fragrance behind which I enjoyed. It encourages your hair to grow & look luxurious which comes from the Natural Fruit & Vegetable extracts in this product. I would recommend this product to anyone that wants a “Fresh Start” with his or her hair. The first thing I noticed about this shampoo was the impressive ingredients list. There are several botanicals in this product at the top of the ingredients list, not way at the end. The shampoo has a pleasant floral scent and forms a gentle lather. It really left my hair feeling soft and nourished, not stripped and dry. This was great for my dry, curly hair and I’d certainly recommend it. I have never heard of this brand before and would love to see it on store shelves! I really really loved this shampoo. The smell is great and so is the cleansing. My hair felt softer and more vibrant than usual. I totally recommend this shampoo to anyone looking for fabulous hair! I have used this shampoo twice and really love it…..makes my hair feel clean and really enjoy the smell of the shampoo…will purchase this product…thanks! How beautifully this product was packaged! I was able to get many uses out of this bottle, quite enough to see a shiny frizz-free happiness to my curls! The scent is floral, yet not unpleasantly so. I will buy this product (RoMANce)! Well, I really love it (IlLustrious). I notice such a huge difference in my hair not like the regular shampoos which only feels good for a few minutes. I will absolutely buy it! I would buy this product and most certainly would recommend it to my friends and family. I compare it to salon quality products. My hair feels very soft and this product even helps to control my frizziest. My hair smells clean and fresh without an over-powering scent. Thank you for allowing me to find something much better for my hair then my 20 year use of PANTENE!!! I loved this! I was so grateful to be able to try it for free. It (IlLustrious) took all the residue out of my hair from my hair products which is rare and so awesome! This is such a great product (IlLustrious)! I love it! It makes my hair smell great and my hair isn’t oily and flat, I now have more body to my hair! I’ve been wanting to find more natural products for my skin and hair, so when I heard about Belegenza I had to give it a try; I’m pretty impressed about the line of items they offer for all of us: organic, natural, good for you products! I am very pleased to have received the Illustrious Shampoo and Cleanser and I had never heard of them before this. Right away reading through the bottle you can see how natural it is: with fruit and vegetable extract among so many other benefits, not to mention it smells lovely. I definitely give this product 5 stars overall; I love reading the label and recognizing the ingredients and knowing what I’m putting on my hair rather than a long list of chemicals and then wondering why my hair doesn’t look as great! I would definitely recommend this product (illustrious). I loved how easy it was to put in my hair. It was really smooth and was lightweight. The scent was a good smell but not to overpowering. I would buy this product. I would definitely recommend this product (illustrious) it made my hair feel very soft and manageable. I was even about to get a comb through my hair. Thanks! I received my illustrious shampoo and cleanser a couple of days ago…. It was something I had never seen before and when I tried it… It was great; the scent was light but refreshing… Having just colored my hair I was afraid this product wouldn’t work so well but, it did, It made my hair shine, my hair was super soft and it smelled good and my hair was clean it didn’t weigh it down…like most shampoos do…I definitely would recommend this product to anyone I know. I would definitely buy this shampoo and will recommend it to my friends and family!! It gives your hair a great sheen and felt very luxurious and expensive, plus what a great smell not too over powering with a slight tropical hint. I absolutely adore this product (conditioner). It did wonders for my hair. A little goes a long way and the scent is amazing. My hair is soft and all the frizz is gone. The most important thing is it didn’t bother my sensitive scalp or my skin. I will sing praises about this product to everyone. This was a awesome shampoo!!! It’s important to me that the color in my hair does not fade, and it is a must when looking for a shampoo. So naturally this is what I played attention to, and was very happy with the results:). I would buy this product again as well as recommend it to others. I also thought the smell was very nice. It was clean, yet relaxing! I just recently colored my hair and decided to try this shampoo, which arrived a couple days ago, to clear away all the gunk. I washed twice with this and then blew my hair dry (no products at all). I really like this shampoo; it smells lovely, cleans well with no residue–a big feat for my baby-fine hair–and doesn’t weigh my hair down. My hair is also soft, shiny, and still richly colored. Judging from the website, this is a shampoo you need to use continually to reap optimal benefits. I’ll definitely add this to my rotation to see how my hair reacts after a couple weeks. If all goes well, I’ll look into purchasing more. Loved this shampoo left my hair feeling very clean but also well nourished. My hair felt smooth and silky once it was dry and the cleanser made it smell great too. I really liked this shampoo. It is very silky feeling and felt like it would be a high-end beauty product. The smell was really good. I would definitely buy this product. I love the way this shampoo smells. It also cleansed my hair and scalp very well without making It feel dry. I love that It doesn’t have sulfates, parabens, silicone, phthalates, alcohol, etc. also. I have been looking for a more natural shampoo that cleanses well and I think this might be it. It lathered well in the shower and kept my hair looking shiney without feeling stripped. I would buy this shampoo in the future. I really liked this shampoo when I used it. It is the only shampoo I have ever tried that really made my hair look and feel great. It smells great and works as a facial/body cleanser as well, leaving your hair soft and healthy. I loved this! It was shampoo that really foamed up. It made me feel like I was at the salon. I felt it really cleaned my hair. It felt great when I got out of the shower! I would definitely recommend it! This shampoo is definitely salon quality! It lathered reasonably well and had a pleasant, yet subtle scent. I appreciated that there were fewer chemicals than many salon options. Everything about this shampoo is RIGHT up my alley!!! I am always on the lookout for beauty products that are free of the top offenders (parabens, sulfites, placates, petroleum, etc etc etc) and this one really weeded out all the bad junk to give you a product you can feel good about putting on your hair and skin. If you’ve read the description for the shampoo, it’s pretty spot on. It gave my hair and scalp a really deep clean, it was really soft and shiny afterward, and the SMELL is AMAAAZING. As I sit here writing this review, I can smell my hair when I shake my head. A really nice lingering scent that is unlike any shampoo I’ve used before. This shampoo has kept my hair clean and nice looking. With the conditioner I have some great hair now! When I first open the lid man the scent smelled so good. While washing my hair noticed how great it worked with a small amount. When washing my hair out it had a great smell afterward. Noticed how soft my hair felt and loved it. I would recommend any on to try Illustrious Shampoo to anyone. Overall the best I ever used in my hair. What I liked about this Shampoo and Cleanser, Number #1 is first they use all natural healthy ingredients and it seems to brighten my own hair color and I love that!! I also like that it removes the build up on my hair, making a cleaner and healthier shine to my hair. And I love that my hair smells clean and fresh. I highly recommend it. I really enjoy the scent of the shampoo. This is a great product. It leaves your hair smelling fresh and clean.. I like this product, it is nice and smooth… all natural… GREAT! I don’t usually use shampoo; I am a no poo kind of gal! But this one is “cone” free. I can dig that. Also free of the other entire gunk that you just don’t need in your hair. After using this I like the look of my hair. My color really popped and I could see highlights and low lights in my hair. My scalp did not feel over dried, nor my hair felt over stripped. The list of naturally extracts in this is important. Because they are listed FIRST! Not at the end. When they are listed at the end they are just the minimum added to call it something. You want your naturals at the beginning!!! I can do this one. Aloe leaf extract is first! This is free of cones, Paba, SLS, Paraben, Petrolatum, SD Alcohol, Formaldehyde, and Sodium Chloride FREE! First off, I love that this conditioner is in a downward-pointed squeeze tube. Nothing is more irritating than trying to get conditioner out of a bottle that just has a screw on cap and nothing else! That being said, let’s get on to reviewing the product! I used this conditioner along with its shampoo counterpart. I think both products smell AMAZING. I can’t explain it, but it just smells like clean, expensive salon products. Best way I can describe it! LOL. I absolutely love how thick and rich this conditioner is, and a little goes a long way. I have hair past my shoulders. I left the conditioner on my hair for 5 minutes or so while I was in the shower and then rinsed it thoroughly. It rinsed well and did not leave any residue in my hair. Once my hair completely dried is when you could really see the difference! My hair was shinier, smoother, and my endless split ends seemed lessened with just a few uses of this conditioner.I was very happy and very impressed with this product!. I LOVE THIS PRODUCT.IT MADE MY HAIR FEEL CLEAN AND SOFT.I DIDNT HAVE TO USE AS MUCH CLEANSER AS OTHER PRODUCTS.IT HAS A GREAT SCENT. GREAT PRODUCT A MUST TRY! Oh. My. Goodness. I LOOOOOVE this shampoo! The scent is light enough that it’s not overbearing, but not so light that it fades during the day. I work in the veterinary field and have my hair up in a ponytail or knot on the back of my head all 10 hours of my shift…. but when I get done and take the pony holder out, I could still smell the fragrance…which was nice since on this specific day I was going to dinner with friends immediately after work. It was nice to go out with friends and not worry that my hair smelled yucky from the day. All in all, I would definitely recommend this to anyone! Thank you so much, smells great, my hair is soft, and shine – perfect product. I love how they smelled. They left my hair feeling clean and soft. I would definitely recommend these products and would buy them myself. My hair certainly felt pampered by this. It smelled pleasant and it feels luxurious like a spa as it didn’t leave my hair tangled. I definitely would recommend this product to my family and friends. I love how this shampoo makes my hair feel soft and healthy. Plus, my hair smell amazing after using it. I was a ready to not like this shampoo when it didn’t lather at all. I really doubted that it would do a good job of cleaning without any lather. But, lo and behold, it left my hair clean and shiny. It smells really good and rinsed out easily. I love this shampoo; it makes your hair feel so clean and shiny. The best thing I like about it is that it makes your hair feel healthy. I would buy this for myself and recommend it to others. The first thing I noticed about this shampoo is the smell. OH MY GOODNESS, this is the most amazing smelling shampoo I have ever used. It is fresh, fragrant, and creamy. I used a small amount and there was a lot of lather. It was wonderful! I feel like for the first time in a long time, my hair was actually clean. It removed all the buildup from hairspray and mouse and all the excess oil. I combined this with their conditioner and it was so easy to blow-dry and brushes my hair afterwards. I can’t tell you how many times I have smelled my hair tonight. I love this product and it will be a “must buy” for my family and me from now on. What a great product and knowing it has fruit and vegetable extracts is an added bonus. I feel like this shampoo and cleanser did a great job of cleansing my hair, but the scent is not as strong as I would like. I love that this removes silicone and conventional product build up because that is what I feel my hair needs to get rid of. I am confident and know that my hair will be clean after using this product. This product was really light on my hair and didn’t leave it dry like most of my shampoos and conditioners. I have a sensitive nose but the smell was nice. Overall, I’d recommend it to my friends. I was a bit scared to try this on my long, thick finicky hair and sensitive scalp but those fears were for nothing. It lathers up pretty good, rinses out neatly and has a wonderful scent. My scalp loved it, no itchiness whatsoever. I would recommend it to everyone. This really did a great job cleaning my hair. I’m pretty picky when it comes to shampoo and this really worked with my hair. I was so excited to try the RoMANce Deep Conditioning Treatment after reading the description. Over colored hair? CHECK! Split ends? CHECK! Dried out? CHECK! Flat Ironed to death? DOUBLE CHECK! I have really long, really thick hair so sometimes buying a good conditioner can get expensive. One of the things I loved about this conditioner is that a little goes a long way. That’s definitely a plus with my hair! But more importantly it actually works! I loved the feeling of my hair after only using it twice. This is definitely a product I would buy. I like the scent of the Illustrious Shampoo and Cleanser. This shampoo left my hair feeling soft, looking good and smelling great! I would recommend this to my friends and family and I would buy it for myself as well. This shampoo added some life into my hair and the scent was nice too, definitely recommend!! I loved the scent of this conditioner as well. My hair felt super soft and looked shiny after use. I was excited to try Belegenza illustrious shampoo and cleanser. My favorite part is the fact that the shampoo is free of many toxins like paraben, silicone, and phthalate, among others. The shampoo feels light and just a little went a long way. The product had a nice lather. The smell was also fantastic. It really has a fresh smell without being overpowering. I can definitely see myself using this product in the future. The illustrious shampoo & cleanser is wonderful on my hair. It didn’t dry up & felt clean & refreshed. Loved it!!! Has a great scent. Is light in texture doesn’t feel greasy or overly creamy. Product worked well. I love this shampoo! I washed my scalp vigorously and it felt amazing. My hair had that nice slip that Like. It detangled as I washed it, if that make sense. Smells nice. I love that it does not contain all the bad stuff that most shampoos do. I would definitely buy this. I tried IlLustrious Shampoo and cleanser and absolutely love it. The scent is great, not too overwhelming. It made my hair so soft, I really couldn’t believe how amazing this shampoo is. I will definitely be purchasing the product, and would recommend it to any women who are willing to give it a try. Unbelievable performance! The first time you shampoo, it may not lather a lot, because it does not contain SLS, which is harsh and drying. The first time you use Belegenza, shampoo 2-3 times to remove the build-up. The light fragrance was not overpowering at all. A small amount will go a long way! Illustrious Shampoo is very nice and makes my hair feel great from the first use of the product. I love the fact that it’s safe for all hair types and if you have dyed hair. The product won’t strip your hair of the dye. It makes my mind clear when I know there are no harmful chemicals that every product out there includes and its eco friendly as well. I think it’s a great product for everyone in the family to use. Great Shampoo, gives my hair nourishment it needs! Smells great, cleans great. I loved the shampoo and cleanser, my hair was very smooth and it smelled good. I was totally floored by how soft and shiny my hair became after using this shampoo! Absolutely LOVED it! Love the smell and texture, Leaves hair clean and fresh. This shampoo has a very nice smell and does what it was made to do. I would recommend it to friends. Love this product. The scent is amazing as soon as I opened the bottle! When I washed my hair with this, it lathered up pretty well and took out all the oiliness from the hair. The scent lingered for a long time even after the wash. I used this shampoo with the deep conditioning treatment and my hair feels softer and shinier. Will be buying this product for sure. The product I used was the Illustrious Shampoo and Cleanser. Safe to say I was not disappointed. When I was pouring it into my hand the first thing I noticed was how thick it was. At first I was like uh oh I don’t like this but as I started to lather it up it got easier to work with. It felt really nice to use. And it smelled really good. It was like a perfume smell. I really enjoyed it. It got my hair really clean (I even had paint in my hair from my job and it got it out with ease). It left no residue and it made my hair feel really soft. I would without a doubt purchase this. I just received this and it was a pleasant surprise. After recovering from the snow, I decided to treat myself to a nice shower, and decided this would be a great treat as well. I opened the top and was mesmerized by the smell! It smells so nice. And the fact that it is natural was a plus. While I was washing hair, I noticed how nice it lathered up and cleaned well. After I got out, hair felt very clean. And unlike most shampoo, it did not leave my hair in tangles! So yes I would definitely buy and recommend this! I did not have high hopes. The scent smells like those little bottles of that cheap no name shampoos in motels. I almost did not try it, because of this, since the motel stuff dries out my hair. But, it made my hair very soft and smooth. I was pretty impressed with it. I just love the illustrious shampoo and cleaner it did a amazing job removing the build up it left my hair fresh and clean and left me with amazing color I would buy this product and I will tell everyone about it. This shampoo smells so amazing!! I love how it gives my hair body and shine. I can’t wait to buy this!! I would recommend the Illustrious Shampoo and Cleanser. My hair felt cleaner and healthier after using this product just a few times. It also gave my hair a nice shine. I was really excited to try Illustrious Shampoo and Cleanser because of its natural ingredients. Because I want to stay away from harsh chemicals, I’ve tried many other natural shampoos. Illustrious Shampoo is by far the best! It is wonderful! It cleaned my hair very well and left it soft and shiny. I would recommend this to everyone that has fine hair! My daughter and I used it and it just made our hair so much softer and not so frizzy! We would buy this too since he has helped a lot! I really enjoyed this product! The scent is amazing which is a big plus for me. My hair felt really clean and soft. Highly recommended! Definitely a buy. This shampoo was great! One of the best shampoos I have come across that gently and safely removes buildup from traditional shampoos. It is paraben free, sls free, phthalate free, etc. You must check this out if you like to have a better shampoo for your hair. I would recommend to anyone and everyone. I liked the most that it is free of a lot of chemicals like paraben, sls, phthalate, etc. I will definitely buy it in the future! I love this shampoo! It made my hair feel soft and seemed to have brought out natural shine. I have a hard time with scent and this smell makes me feel refreshed while not making me sneeze. I love the fact that it has aloe, sage, rosemary and green tea. After the shampoo my hair smelled for hours. I would highly recommend this product. Loved the scent of this shampoo. It was very clean and refreshing. The shampoo lathers well and my hair felt silky smooth. I liked that he scented lasted all day unlike other shampoos. Illustrious shampoo smells amazing and made my hair feel and look healthy and clean. My hair is softer and healthier than it has been in years! I love it!!! I love this shampoo, it made my hair look & feel very clean! It smells great! I really liked this shampoo. The scent is pleasant, but not overpowering. My daughter took it after I used it once and used the rest of the bottle. (So I’m guessing she loved it too!) When I asked her what she liked about it though, she says– “I don’t know, I just like it!” Teens! This just made my hair feel clean. Nothing else to it! I loved this shampoo. It had a great smell, which stayed in my hair even after washing it out, which I absolutely love. It worked great for my extra curly hair also. It actually cleaned my hair really well also, which is hard since I use so many products in it during the week to keep my curls tamed. And it is a total bonus that the shampoo is paraben free, sls free, and phthalate free. My hair and I were so happy that I got the Illustrious Shampoo and Cleanser! I am so picky about shampoo for so many of them make my hair look and feel oily so fast, but this didn’t, what a wonderful surprise!! It had a pleasant scent when I opened the bottle and a nice texture and color to it. I only wash my hair once most shampoo’s say wash rinse and wash again but I didn’t need too! It left my hair smelling so clean and just nice; it made my hair feel and look so clean and shiny. I loved how it didn’t make my hair oily dull or flat. No it was full of body and it lasted all day long yes I will buy this again and again! I have sensitive skin throughout my entire body; I am very picky about products, as I don’t want to be blotchy and red all over! The scent was a pleasant, faint scent – not overwhelming and fruity like most Shampoo brands I have tried in the past. I was very happy with how my hair is feeling now that it is dry – I would definitely recommend this! Love the all natural, nutritional, and revoluntary this product is! Used the shampoo/cleanser and deep conditioner this afternoon – love them! I’m usually reluctant to fall in love with new hair products because most annihilate beautiful faux red hues, but this one actually rejuvenated the color and cleansed without leaving my hair feeling stripped and dehydrated post-shower. The smell’s not unpleasantly stinky, either. Will definitely be using these products more often. I have bought so many different brands of shampoo, I’ve spent around $200 so far. Most don’t work and some sort of worked. I have two different kinds of shampoo I use, rotating them, cause one brand works okay but dries my hair out and the other works to a point but also dries my hair out. I read the information on the shampoo and I love how it removes all the bad stuff on my scalp. I used this, this morning and tonight. I love how my hair feels. My hair doesn’t feel weighed down. I love it. Plus this morning after my hair dried, my hair was soft and shiny, that has never happened. I am definitely going to buy this on the Belegenza website, their prices are decent. I recommend this to ANYONE! Great stuff. I love it. I like the scent and the nice lather of the shampoo. My hair, after rinsing the shampoo, felt clean. The deep conditioner treatment smells good too. It left my hair feeling smooth and bouncy. I liked the fact that the wonderful scent lasted a long time after using these two products. This shampoo is very nice. I love how it lathers up but yet cleanses. Some shampoos lather seems to strip my hair from its natural oils and all but this shampoo I felt added moisture but yet cleaned my hair. When it comes to the scent I would love for this brand to bring a more indulging smell nothing too crazy though. Have tried this fabulous shampoo several times now, and am ready to share my thoughts! Right away I noticed the clean, subtle scent. It wasn’t overpowering like many shampoos I’ve tried. The experience was like catching a whiff of grapefruit blossoms on a passing wind. So lovely. For this alone I recommend the shampoo. It won’t clash with other fragrances you may choose to wear. The shampoo is creamy and light. It leaves my hair feeling clean, silky and strong. My girlfriend remarked that my hair felt extra soft, and acquaintances commented that my hair looked great. I love this shampoo. It has a light and fresh scent and I noticed that after using it my hair was soft and very clean. I would definitely purchase this. Like the light and complete clean that I got from this shampoo. I would buy again good brand. At first I was not impressed by this shampoo… It did not foam like others and didn’t make my hair smell as nice as other products I’ve used. But after I let my hair air-dry I saw a difference. My hair was nice soft, shiny and not frizzy. I must say this product is amazing. I really liked the illustrious shampoo and cleanser, it had a good smell, and I really liked that it was a cleanser meant to removes buildup, which my hair really needed. I felt that my hair felt really clean after I used this product. I would recommend this product to others, I really enjoyed using it. I also really liked that it could be used on color treated hair. Absolutely LOVED this Shampoo and Cleanser! Has an EXCELLENT scent and made my hair feel smooth and look great! I also love the fact that it has way more natural ingredients then other leading shampoos. Definitely recommend this shampoo and hope to be able to find it in a store near me! This is amazing and I want the full size as soon as I can get my hands on it. This is not silicone but actually conditions my hair without clogging up my hair follicles and weighing my hair down. I absolutely love this product. It does not contain any harsh ingredients and actually cleans my hair without stripping it of its natural oils. Like you, most find not too much lather in the first few weeks of transitioning from regular and salon shampoos to Belegenza’s natural process. We call this the “magical month!” Each time you use Belegenza, you are penetrating the barriers, and getting more and more benefits. By now, you have seen your hair looking better and better, and enjoying the compliments, too! My hair feels healthier. Nice stuff. I really like this shampoo and I’ve tried it several times and they work fantastic! It has a pleasant fruity scent and lathered up well when I shampoo. I also like the color and texture of the shampoo. It made my hair feel real clean and soft after wash, I would highly recommend it! Another all natural beauty products that I was quite impressed with. The Illustrious Shampoo and Cleanser had a very nice refreshing scent and worked well to cleanse my hair. There was not a lot of lather associated with the product, which at first was a concern, but I quickly learned that a lather was not needed for the product to work efficiently. However, the lack of lather did mean that I had to use more shampoo on my long hair then I normally would have. That being my only complaint its a product I would stick with for sure. This shampoo was great! I love that it‘s paraben-free and contains fruit and vegetable extracts. My hair looked great afterwards! I really like the smell and texture of this shampoo. It left my hair smelling like I just came from the salon so that is a big plus for me. It did not lather as well as my other shampoo, or as much as I would have liked, but it did an amazing job at cleaning my hair. The fact that it is free from parabens and silicone is a big plus. I really like this shampoo/conditioner, I usually don’t go with the MIXED products because I think they lack the silkiness it would usually have when you shampoo and condition separately, but it was different with this brand. When I applied a quarter size to my palm to lather it up, I could feel that awesome SILK texture. I Love the smell to this compared to the Illustrious “deep conditioner”. Made my hair feel ALMOST the same shiny, Aliveness, touchable, smell goody feel as the deep conditioner. This product is WORTH A TRY if you have sad hair!!!! I absolutely LOVE this product. First of all, it smells amazing. It’s not overpowering, but it has a great scent. Also, it is wonderful! It works so well; my hair feels amazing as it cleaned every strand from product buildup. I can definitely feel a difference in my hair after using it. My hair doesn’t feel weighed down; it feels smooth and looks shiny. The makeup of the shampoo is also a perk for me. It’s natural and can be used on men, women and children. The ingredients are great! I’m looking forward to continuing use of this product! After using RoMANce Deep Conditioning Treatment, my hair felt so healthy and soft. It had a pleasant smell and I loved the results.I color my hair and sometimes my hair gets dry and frizzy. I found that RoMANce Deep Conditioning Treatment made my hair look and feel better. I think my sweaty enjoyed my soft hair also because he could not stop touching my hair after I used it! I would definitely recommend. I absolutely LOVED this product. It smells amazing and leaves your hair feeling soft, shiny and tangle free. A big plus for me was that this is a chemical free product (especially that it was alcohol free). 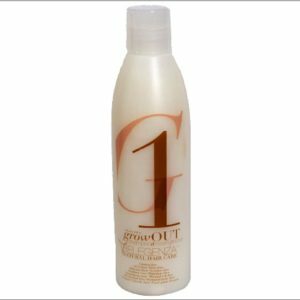 The product is very thick so it covers your hair well without leaving it weighed down or greasy. The only con for this product has nothing to do with the product itself but with the packaging. I liked this shampoo. I have thick hair and it is made my hair look and feel great. It is free of sulfates, parabens, silicone, phthalates, alcohol, and more. NO harmful chemicals and I love the results! I really enjoyed this shampoo and conditioner both! It left my hair looking and feeling healthy and bouncy… not limp, dull or oily! Love it all! The Belegenza IlLustrious Shampoo & Cleanser has a light pleasant fragrance. It is made with natural ingredients and contains fruit & vegetable extracts. It cleans well and gently removes buildup. I really like that the Belegenza IlLustrious Shampoo & Cleanser is paba-free, silicone-free, acrylate-free, paraben-free, phthalate-free, petrolatum-free, mineral oil-free, alcohol-free, and formaldehyde-free and sodium chloride-free. I would definitely recommend this shampoo to my family & friends. It made a big difference in the way my hair looks. I love these, the shampoo and cleaner really made my hair feel like I was putting conditioner on. I LOVE IT!!!! Thanks to my friend who gifted me Romance and Ilustrious, my hair feels as if it has been brushed by angels!